Beyond regional limits, the option requires a Sonos One or Beam, or else an Amazon Echo speaker linked to a Sonos system. Listeners must further update the Sonos iPhone and iPad app and have the Apple Music Alexa skill enabled. Commands are identical to those on other Alexa devices, for example "Play songs by 'Haircuts for Men' on Apple Music" or "Shuffle the 'Best of Dark Ambient' playlist on Apple Music." Apple Music first arrived on Echo speakers in mid-December, but only for U.S. owners. That expanded to Fire TV streamers in March, yet once more with the same regional restrictions. 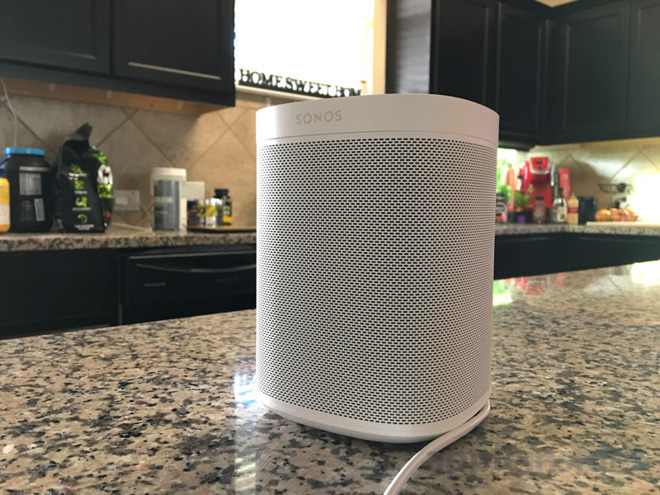 Earlier this month Amazon finally brought compatibility to Echo and Fire owners in Ireland and the U.K.
Apple Music has been accessible through Sonos speakers since 2015, but without any voice controls. The speaker maker was also one of the first to support AirPlay 2.